We have been working closely with Ubiquiti over the past few months to get their latest product ready for the UK market. Amplifi UK is the first product from Ubiquiti to come with a UK plug as standard, no adapters needed. AMPLIFI is available in 3 flavours with UK specific plugs. 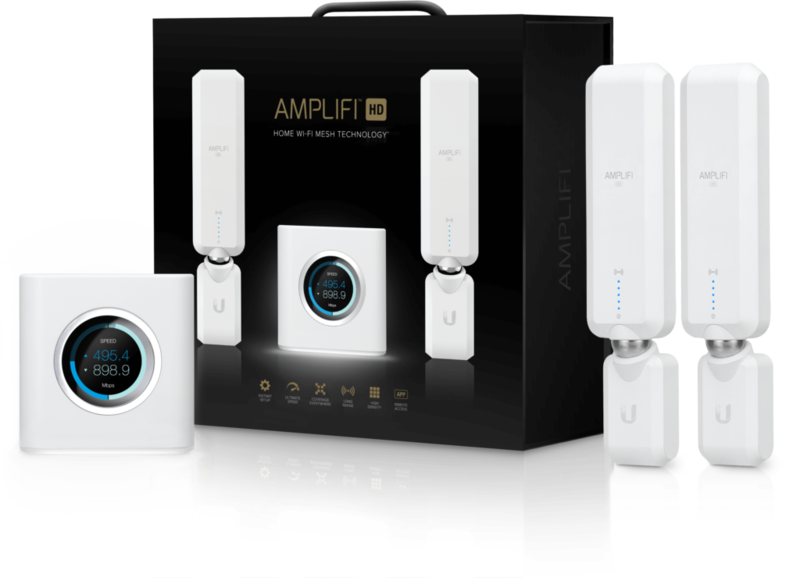 The AMPLIFI HD Home Router, the AMPLIFI HD Mesh Point and the full AMPLIFI HD Kit. The AMPLIFI AF-R router comes with built in dual radios and AC wireless technology along with routing capabilities making it the perfect router for the home. The build in screen and easy to use application make taking care of your network even easier. The AMPLIFI AFI-P-HD is the perfect way to extend an existing WiFi network. 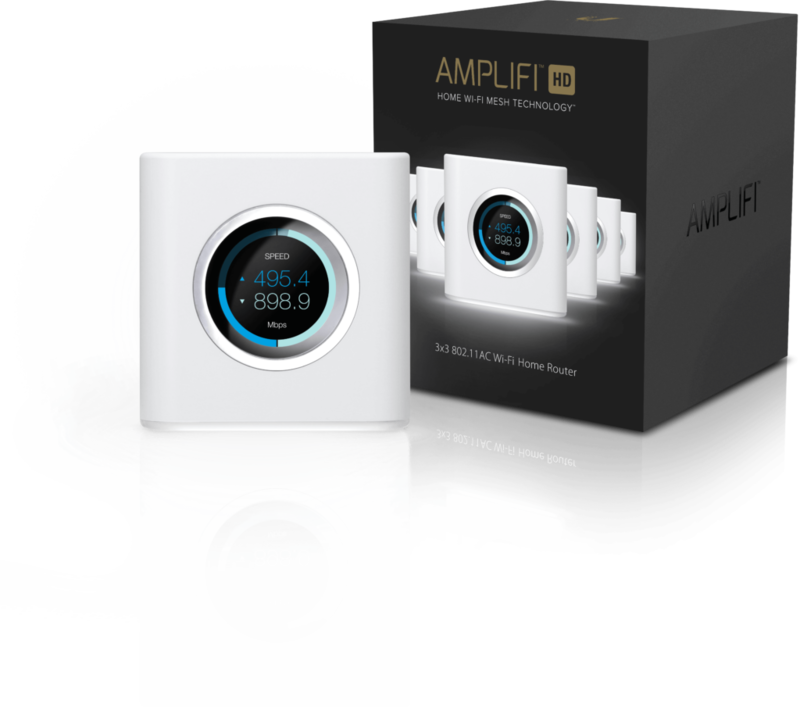 The AMPLIFI Mesh Point is not only capable of extending a Ubiquiti WiFi network it can also connect to any existing WiFi network and extend it using built in Mesh technology. quitous Wi-Fi coverage to any home. The kit can also be expanded by simply adding extra Mesh Points or AMPLIFI Routers thanks to the self-configuring radios. Significant Signal – Latest 802.11AC Wi-Fi technology, integrated. Setup in Seconds – With easy setup and configuration, your network is up and running in no time. Automatic Updates – Future features and performance updates will be coming soon. Always Know Who Is Using Your Network – The app keeps track of which devices are connected, and for how long. Track ISP and System Performance – Get throughput readings and test your ISP speed at any time. Guest Access, Simplified – AmpliFi guest access uses an “open time window” to allow instant guest on-boarding without sharing your password. No security compromise or inconvenience. QoS (Quality of Service) – QoS options allow you to prioritize Wi-Fi clients based on gaming, streaming, or normal Internet usage. 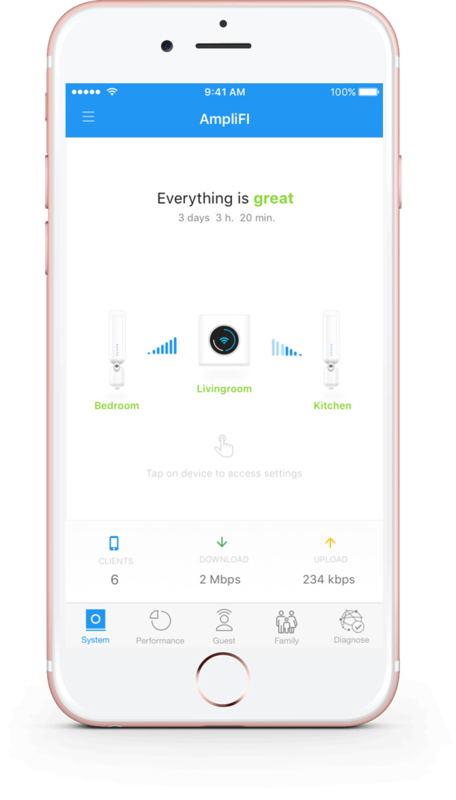 Remote Management – Remotely access and manage your AmpliFi Wi-Fi system using your Google or Facebook profile. Family Profiles – Configure parental controls: define user profiles, assign devices, and create Internet access schedules. Quiet Times – Assign quiet time to family profiles to limit Internet access during late-night hours. Is an improved version being planned for 2018? There haven’t been any changes to the Amplifi routers so far.